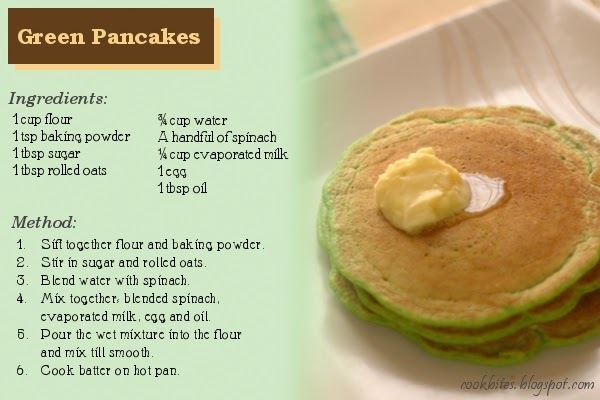 Pancakes are are one the easiest things to make for breakfast. I have a basic recipe which I can easily modify. I often make pink (beetroot) and also pumpkin pancakes. 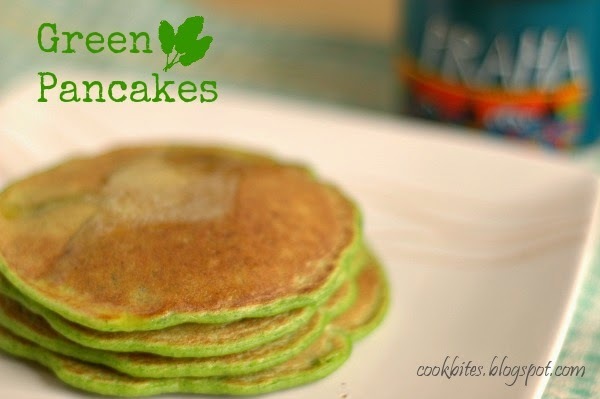 This is the first time I made green pancakes, and they turn out quite pleasing to the eye. And they taste nice too. I love the bright colour. We had them with butter and honey. Here's the easy peasy recipe. Enjoy!